The porch was a dream of ours for many years. When I was a little girl I had dreams of owning a home with a white picket fence, and a porch. I had dreams of sitting on my the porch, with a swing of course, drinking lemonade and admiring my beautiful well manicured front lawn and gardens. I would sit, swing and dream away, doesn’t that sound wonderful! Well, nine years ago we bought our current home and my dream came true, I finally got my porch. It was a tad smaller than the one I dreamed about, so that swing didn’t fit into the plans. Still, it was a porch that I could sit outdoors, and enjoy the fresh air, sunshine and my beautiful front yard, but that lasted a very short time. I’m not sure if you know this about me or not, but I am not a, outdoorsy kind of gal, I love fresh air, sunshine, but I hate bugs. I mean I really, really hate bugs! 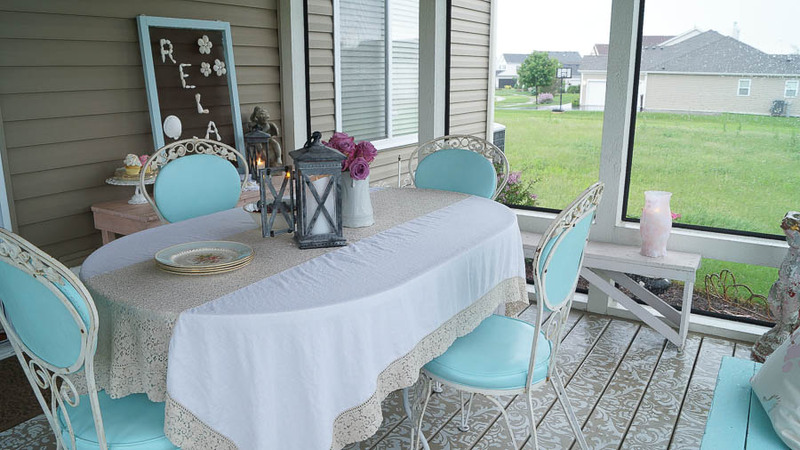 As I was sitting out on the porch one day getting chased by a yellow jacket, and next by a mosquito, I started wondering what it would be like to have a the porch screened in. We could sit outside and enjoy meals without being bothered. The rain wouldn’t stop me from enjoying the porch, because the screen would protect us from the rain. And we could sit out at night, listen to the crickets and not get eaten alive by mosquitoes. Yeah, I kept this dream in my head for many, many years. Then one day it happened, we had saved enough money to make that dream a reality. 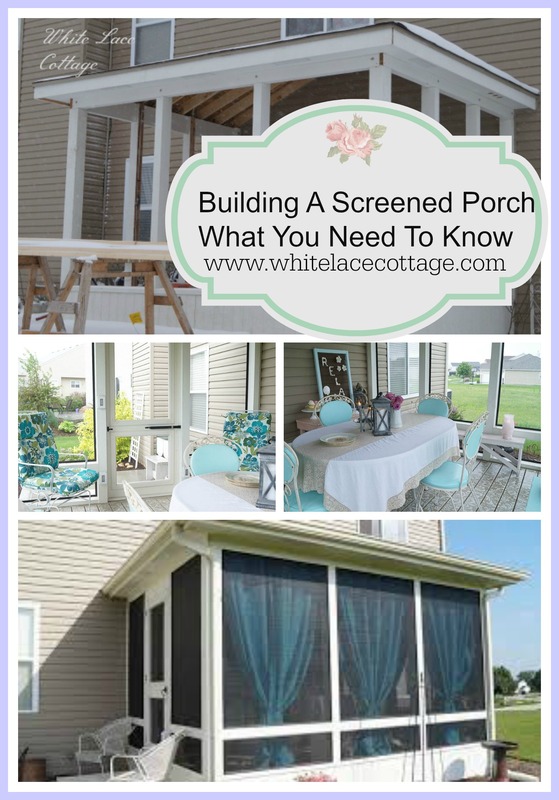 Let me share how we researched for our screen porch, what style, and structure we decided to go with, the cost and more. 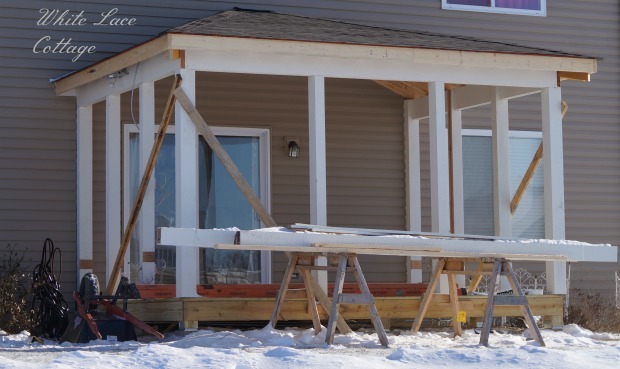 When we were researching to build the porch we discovered two options that we had. One was to build it using metal framing, which would have had a metal roof. We didn’t like this option because of the structure and look. We had a representative from a company come to our house to measure and share the product they use to build the porch. The whole time that he was talking, I kept thinking, nope, nope, nope this is not for us. Most porches are build with the option to add windows. We didn’t want windows, because we wanted to feel as though we were outside, but screened in. The thought of windows on our porch would make it feel as though we were still in our home. The structure and feel of it just didn’t feel right for us. Next we contacted a company that builds the rooms with timber. We would be able to add a wood ceiling and design it anyway that we wanted to, as opposed to the metal one that was offered by this other company. We even choose which type of roof we wanted. This would look like it belonged on our home, and more a part of the house, but sitting out on the porch would make us feel as though we were outside. We had two estimates for the porch, the metal room that I mentioned above and the timber room. You would think that the metal room would have been much cheaper to build, and actually it would have cost much more. That’s quite a difference in price isn’t it. 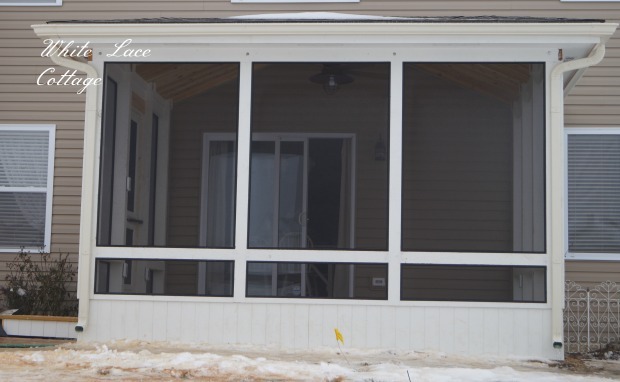 Our screened porch measures 8 ft x 14 ft. We were really impressed with the quality and structure of the timber rooms and decided to go with this company. Basically it’s a custom room that they built for us. We decided on the size of the room, flooring, ceiling, roof type, how many screens we wanted, how big we wanted them, how many doors, how many electrical outlets, lighting, color or stain of the room. We also had to decide whether we wanted a long horizontal room or did we want to bring the porch out more towards our yard. It would have cost more to bring our room out from out home, so we decided to keep it long. What are you going to use this room for? Are you going to entertain? 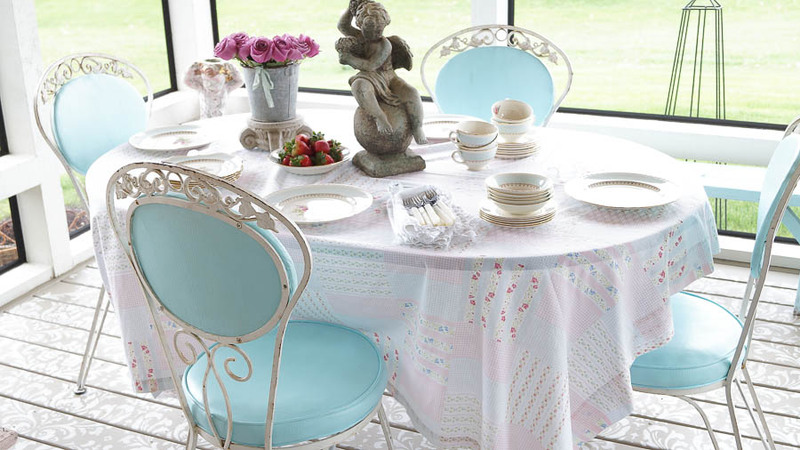 If you do want to entertain, then you’ll want to make sure you have enough room for entertaining. Plenty of room for extra chairs, etc. Do you want to add a table and chairs, or a long outdoor sofa, you need to keep this in mind as you decide how big of a room you want. Of course budget is always a factor, and we had a budget in mind when we decided to build our room. Think about outdoor lighting when you decide on your roof. We get a lot of sun in the porch, and even though we have a roof, as the day goes on, that sun really shines in our room. And it’s why we chose the roof that we did, we had two choices with the room we wanted to build, a gable roof or a hip roof. We chose the hip roof because we didn’t want the opening with the screens at the top of the room, that you get with a gable roof. 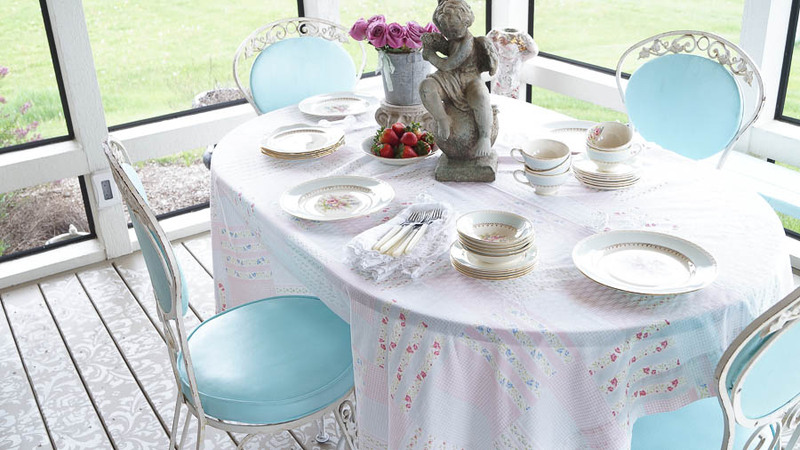 I knew that I couldn’t cover those open screens with outdoor curtains, and the sun would glare in our eyes when we were eating dinner on the porch. But if you need extra lighting then a gable roof may be a better option. You can also add a sun roof to your room to add more lighting. How many doors would you like in your porch and what location? We only added one door, I had planned on two. The reason we chose only one door is that with two I would have been limited to where the furniture placement would be, and a side door just made more sense to me. 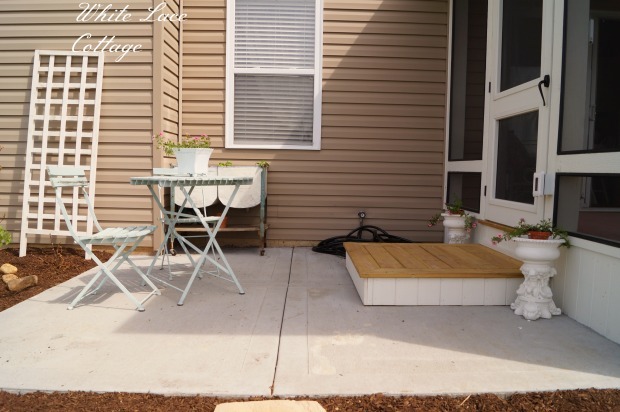 Are you going to add a side porch for a grill and extra seating for entertaining? We didn’t have anything prior to the porch. We added a side porch for a grill and extra seating for those big parties that no everyone will fit on the porch. 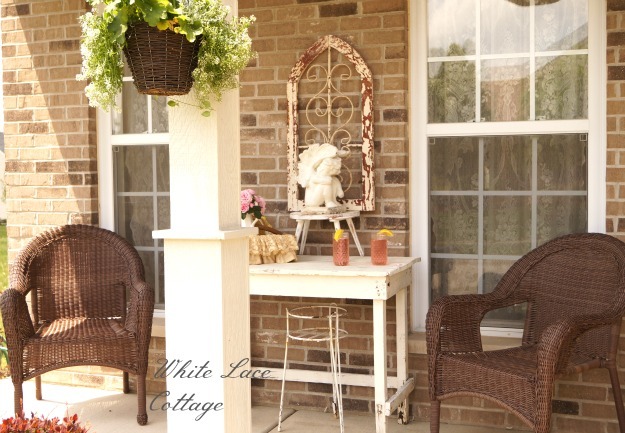 If you are adding a side porch the same time you are building your screen porch, make sure you design one big enough for entertaining and a grill. We already had an outside light that we changed when we built the porch. 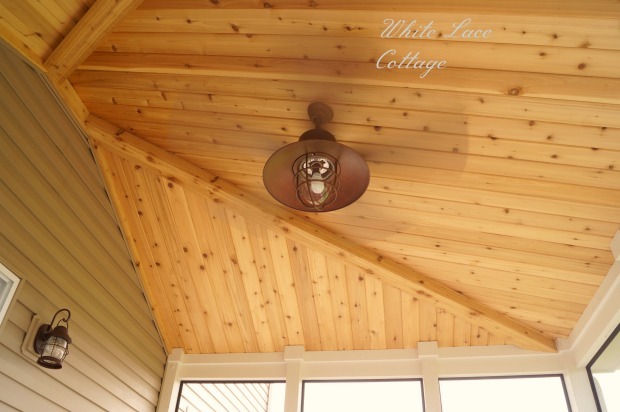 But we also added an outdoor ceiling fan and light. It’s nice to have a breeze above on those hot summer days.And the extra lighting comes in handing when you’re entertaining. We also added a light right outside the door of the porch. We added several outlets to the porch. We didn’t add outdoor speakers but you can do that if you want to. The outlets are nice to use if we need to plug in a radio, t.v. or whatever. With our porch style we could choose any wood we wanted. We needed to stay on budget and went with a pine for the ceiling that will stay the color it is, we sealed it with a clear coat to protect it. The ceiling has a nice pitch, and makes it feel so open in the porch. The porch was build first with a foundation, after the posts and framing was all completed, they added the floors. I knew that I wanted to paint my wood floor, but I needed to wait until the wood was completely dry. This took many months, but it was worth the wait. Also, make sure that the builder adds screen under the wood deck, you don’t want bugs creeping in from underneath the deck. Our builder did this, not sure if they all do so make sure that you have that added into your plan. Decide how many screens you want and how large. We don’t have a magnificent view out our porch, but we still wanted a clear view and not a bunch of posts. The bigger the screen the more view that you have. Also think about what landscaping around your porch, I wanted screens on the bottom, so as I am sitting on our porch I would be able to see my pretty flowers. You don’t have to keep that open, you can also just make the bottom section a wall, it’s totally up to you. How easy is it to change the screens? Funny, well maybe not so funny that we found out this past summer how it was not as easy as it looked in the showroom, to pop these screens out. We ended up replacing every single screen because a neighborhood cat went to town on our screens! It was a lot of work to replace every single screen. We had to do this because we changed the type of screen that was first put in. The screens that were originally put in were invisible, you couldn’t see the screening at all, which makes it great for viewing but not very practical. We purchased pet screens and they not very sturdy, they were tested last summer, when that cat returned and didn’t ruin our screens. If you have small children or pets, I would highly recommend adding pet screens to your porch, It’ll save you lots of money and headache in the end. I wish I had known about them before we built ours. I was under the impression that the screens we got were durable, they were not, just be warned! Each step was explained before we started, including our financial end. 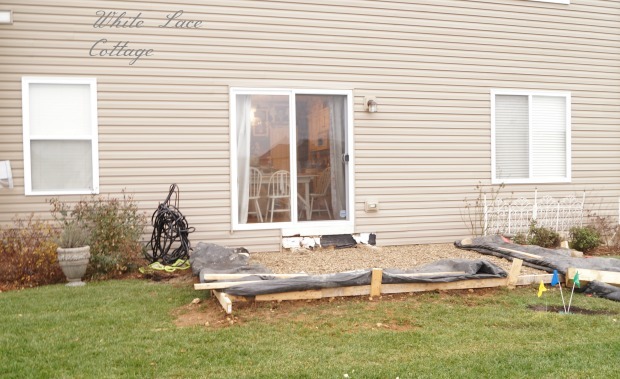 We paid a certain amount before we started the porch, once the foundation was done we paid more and then we paid the remainder once the work was finished. Each step was explained before it happened.If we needed to make changes before they started, they allowed us time to do that. You really need to trust whomever you’re working with.Make sure to get references and check the company that you are going to work with ahead of time. This is a huge investment, one that will increase the value of your home. This porch is like an added room to our home, although we feel as though we are outside not inside. We eat every meal out on our porch. It’s a place to relax, and enjoy the outdoors. The best decision and investment that we have ever made! I know that when we leave this house, I will miss this room greatly. But I plan on added a screened porch to our next home. With all that I’ve learned from building our porch, I know what to expect when we build the next one. 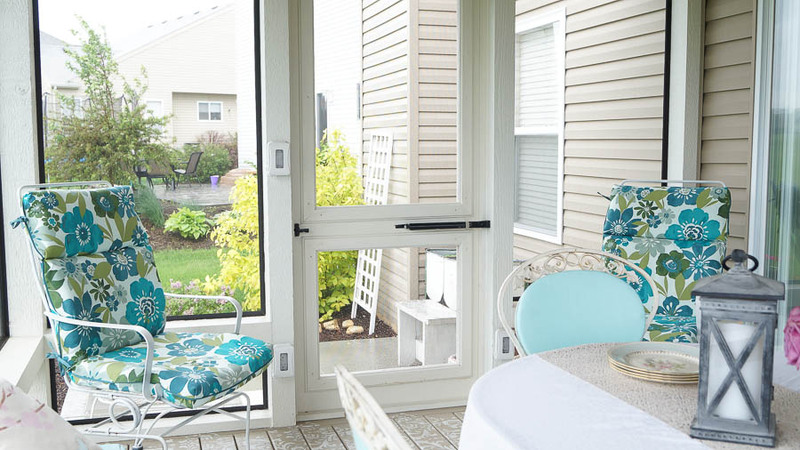 If you’re thinking about building a screened porch, the best time financially to build one is in the fall. Most people don’t want to invest in a porch that time of the year. But builders are looking for work and they will negotiate on the price. 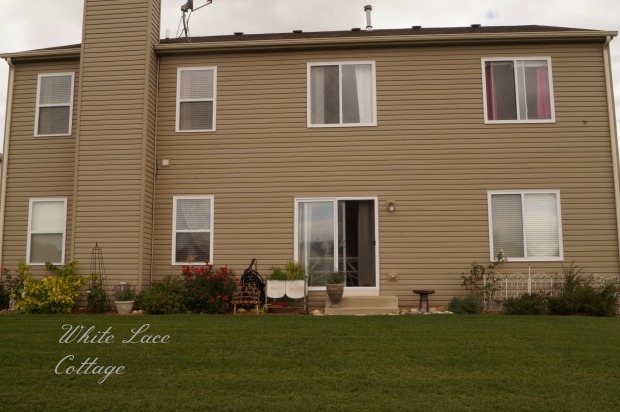 We were able to get our side porch for free, and we also got the price down a bit from where it was originally because we purchased it off season. We were willing to wait until it would be completed the following spring, it was totally worth it. Is there anything I would differently? Yes, as much as I love the white painted look, it doesn’t stay white for long. It will get a fresh coat of paint in the spring and by summer it will look dirty and dingy. I wish that I had stained it instead, but that’s the only thing that I would do differently. If you’re thinking of building a screened room, start by doing your research this spring and summer, the next fall go in and talk to builders and get the price that you are willing to pay. Hope that this helps in your decision to build a porch. Since adding our screened room, I’ve added a few things, like those outdoor curtains, you can read about that HERE. I stenciled the floor, and BTW it’s held up perfectly! You can read the tutorial on how to stencil a deck HERE. Don’t forget to subscribe to my new YouTube channel! 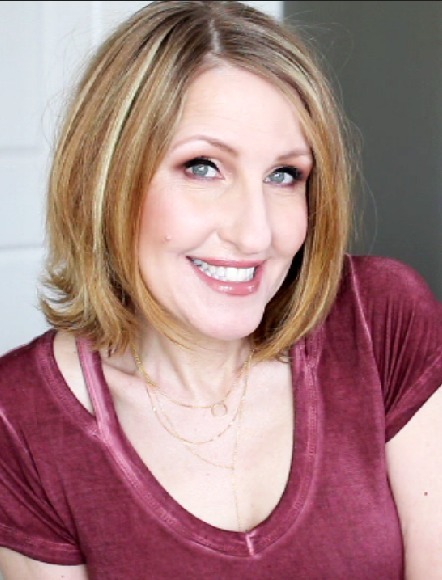 I’ll be sharing DIY, decorating tips and much , much more! I sure wish we could build a screened in porch on back of our house. In Summer due to it facing due west it’s hotter than hades in our mud room and so hot it burns my hand openingdoor. Don’t dare try to go barefoot on deck or feet get burned. When weather nice I hang all my laundry out. Since we’re on a hill we get good breeze (or tornado like winds sometimes) so it dries quickly. The chickens like to get out under my wagon I put laundry basket in and play under it. That way I’m not having to bend over to get laundry out of basket. A year ago this coming April hubs had a partial knee replacement but he’s done great with that. After only 2 weeks he was replacing our ceiling fan in mud room. You’d think our son in law would help put up pergola but daughter always has something for him to do when he is off work. I don’t dare get up there to help as i have dizziness from meds. See what fun it is to get old? Not laughing. What, no other comment but mine last year? 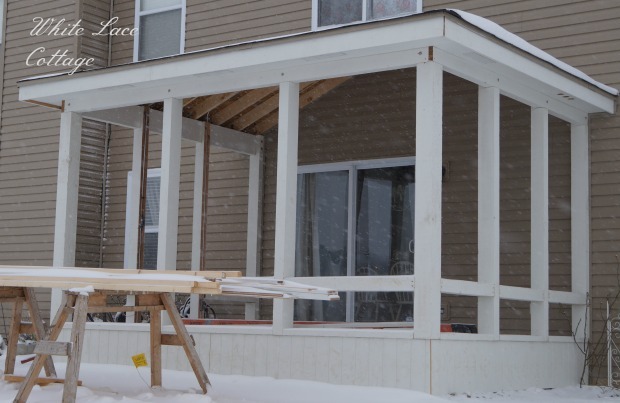 Still wishing for pergola at least but screened in porch would be much better. We get mosquitos when we’re out, mostly in late afternoon and after it rains in summer. Wish chickens would eat them faster. Enjoy your porch, is it getting nice enuf there to sit out? Like Spring here, will be in low 70’s here all next week. How is it there? I sure am envious of your lovely and wonderful screened in porch. Right now have boxes against back of house on back deck from out of my studio, tarp over them. Had to get them out so have room to move old computer desk out and put a different storage unit in room. Keep finding more and more junk to get rid of, what a chore, looks so big in there without all the “stuff” Need to go thru closet where hubs put shelves, need organizing but that will have to wait, my back and shoulders are killing me from lifting and moving heavy boxes. There’s a small alcove area where hubs put shelves from ceiling to floor, oh boy do they need going thru, organizing, will have to wait for while anyway. Maybe when we get rainy day can get in there to do at least one of those. Need to get these tasks done before my left shoulder goes out too much before replacing. Will be bionic won with both knees and shoulders having been replaced. Then will be time for hip replacements.